The Phoenix Zoo opened in 1962 and is the largest non-profit zoo in the United States. Located in Phoenix, Arizona, the zoo was founded by Robert Maytag, a member of the Maytag family, and operates on 125 acres of land in the Papago Park area of Phoenix. It has been designated as a Phoenix Point of Pride. The zoo has over 1,300 animals on display and contains 2.5 miles of walking trails. It is divided into four main themed areas or trails: The Arizona Trail (American Southwest flora and fauna), the Africa Trail (animals from Africa), the Tropics Trail (residents of the rain forests), and the Children’s Trail, which includes a petting zoo. The Phoenix Zoo began as a personal project of Robert Maytag, who formed the Arizona Zoological Society with the intention of opening a zoo in Phoenix. Although Maytag died a few months before its opening, the zoo opened on schedule in November 1962. 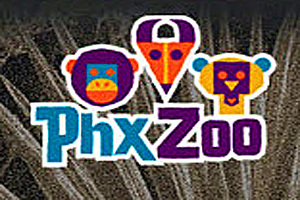 It was originally named the “Maytag Zoo”, but was renamed the following year to “Phoenix Zoo” to identify it more closely with the community. The zoo has always been a privately owned, non-profit venture.